You Love Them but are They Weaveworthy? Not too long ago, Meghan Babin, editor of Interweave Knits and Wool Studio, was talking about a sweater she was knitting that she really liked and made the comment that she was going to give it to someone who was knitworthy. And I totally got it. There are a lot of people who are knitworthy, but there are also many who might not be, and you have to be careful about where your handknitted and handwoven projects end up. I’ve made the mistake in the past of weaving projects for the wrong people. Not that they aren’t good friends or favorite family members, and some even have other lovely qualities, but there is no reason to waste good thread, design, and hours of weaving on someone who would rather have a gift certificate from a big-box store. I wrapped a bottle of champagne with a handwoven white linen Bronson lace towel one time as a gift for a wedding and was chagrined to get a thank-you note for the bottle of champagne. I’ve never had the nerve to ask if that beautiful towel went out with the wrapping paper from the other gifts. 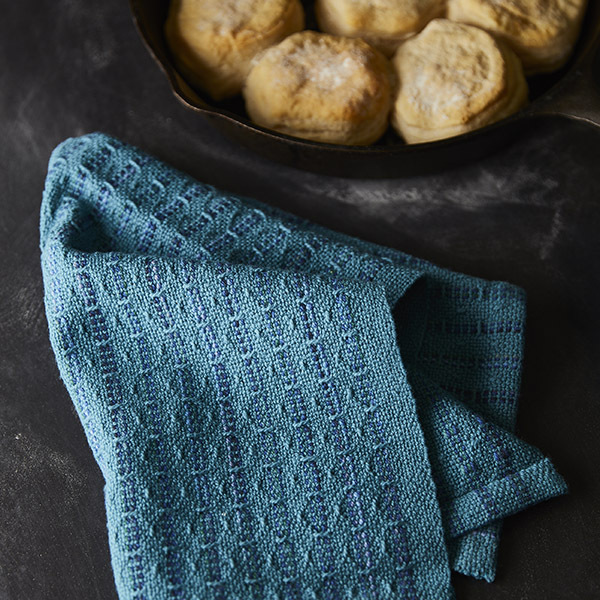 Jenny Sennott’s Sweet Blue Towels would make a great wedding gift, no champagne needed! I wove a doubleweave wool blanket for a couple who probably stayed married less than the time it took me to weave the blanket. And this time, I’m afraid to ask who got the blanket. I’m hoping it was the bride since in my heart, I wove it for her. My nephew , who took the handwoven blanket I made for him on his boat when he and his wife sailed to the Caribbean. I know because I saw it in some pictures, and I was proud. 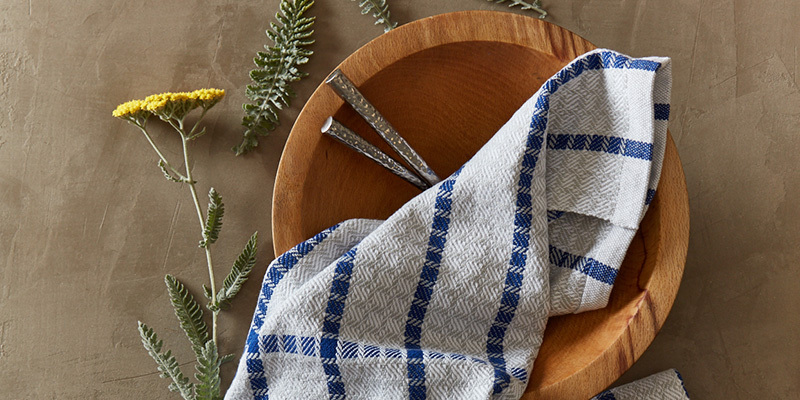 My sister , who always has one of my handwoven towels either in her kitchen or in the bathroom when I visit. Who knows, maybe the rest of the time they live in a drawer, but I don’t think so. My friend Lesslie , who tells everyone how much she loves her black and white scarf, and wears it. There is weaveworthy and not weaveworthy, and it’s “worth” knowing the difference. Have some weaveworthy friends? Check out our new weaving kits that will help you with your gift lists.